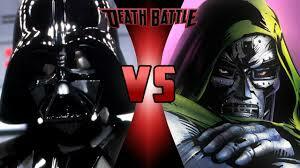 Doctor Doom vs. Darth Vader in Screw Attack’s DEATH BATTLE!! The moment has arrived! Who is the ultimate ruler?! Does the Doctor spell doom for Darth Vader?! Or will the Sith Lord force Victor to hang up his PhD.?! It’s Marvel vs. Star Wars in DEATH BATTLE!!! 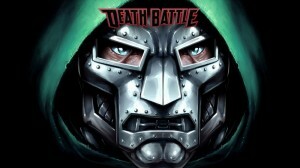 Doctor Doom warps into Screw Attack’s DEATH BATTLE!! You know his name. It is Doom. He is one of the most feared villains in the Marvel Universe due to successfully blending science and magic. But will he be able to withstand the force of the galaxy’s most powerful dark Sith Lord? Find out next week in DEATH BATTLE!! Check out the Fantastic Four official teaser trailer!